I don’t know if there are any wild horses on the stage during the Glyndebourne Opera Festival, which takes place from May 20th to August 26th, but if there are they couldn’t drag me along there with them, not even kicking and screaming. The closest I’ve been to appreciating an aria is the line at the start of the Elvis song – ‘Aria Lonesome Tonight?’ Oh, and I’ve heard the football one that Pavarotti sang – ‘Nessun Dorma’ – something about falling asleep, right? It does start with a soothing melody, but if you were tempted to drop off at the beginning of the tune, the big, booming bit at the end would wake you up, sharpish. Although on reflection, maybe it’s about not falling asleep? Well, not everyone is a cloth eared Philistine, and anyway people don’t just go to Glyndebourne for the songs. It’s the spectacle, the sheer luxury that draws them there every year. 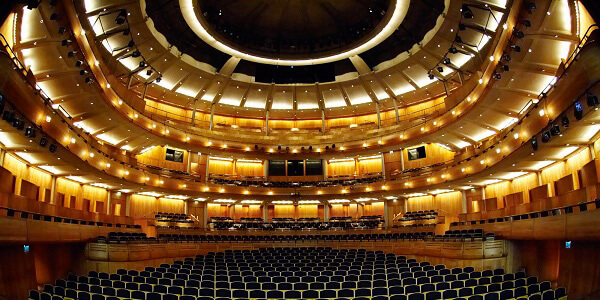 Talking of sheer luxury – why not be driven to Glyndebourne by a professional London chauffeur? Never mind wild horses, we have enough tame horse power beneath our bonnets to satisfy any discerning traveller, and we can guarantee your comfort every time. 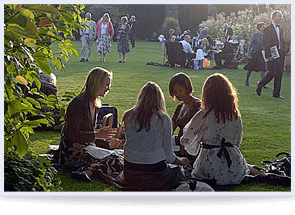 So what’s on the menu at Glyndebourne this year? Well there’s Ravel, there’s Puccini, there’s Mozart and there’s Rossini. Now can you tell there’s a poet lurking somewhere in the depths of my prosaic soul? Oh and there’s also Janacek, but a) I’ve never heard of him, and b) His name just didn’t scan in my poetic list. 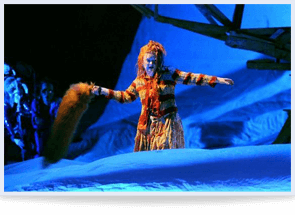 His is the opening opera though, and ‘The Cunning Little Vixen’ will be staged from May 20th to June 28th. It’s about the life of a female fox, as she wanders about the countryside, talking to dogs, chasing chickens, evicting badgers and eventually marrying handsome Mr Fox. If you can’t make it to the opera, there will be live broadcasts of the performance at cinemas around the country on Sunday 10th June at 6.30pm. After all, not everyone can have the pleasure of being chauffeur driven to the main event. If you want to be there for the real deal, why not go the whole hog (or even fox, badger and dog) and treat yourself and your friends, by booking a friendly London chauffeur service?